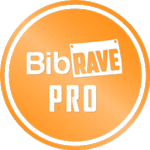 I am always amazed what great posts come from these Friday free write episodes. Like this one. Looks like one of God's "coincidences" that you were singing this song with your boys this week. What a happy picture! Thinking of it delighted me. I hope it inspires them to say "yes" to singing, too. And to boldly saying yes to God as you've been doing. I hope my boys are inspired to say "yes!" to the Lord, too, Sylvia! I had to laugh when I read the FMF word for this week - definitely a God "coincidence" :) He planned it out perfectly! I'm blessed again by a visit to your blog! "Yes" to the Lord is always the right answer! The Lord encourages me through reading about what He's doing in your life! Trissy, I am so glad God's work in my life can be an encouragement to you! That is an answer to prayer and one of the main reasons I even started blogging :) Thank you for stopping by! 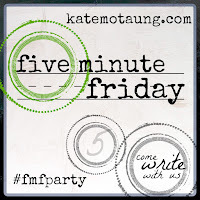 I love Five Minute Friday posts. 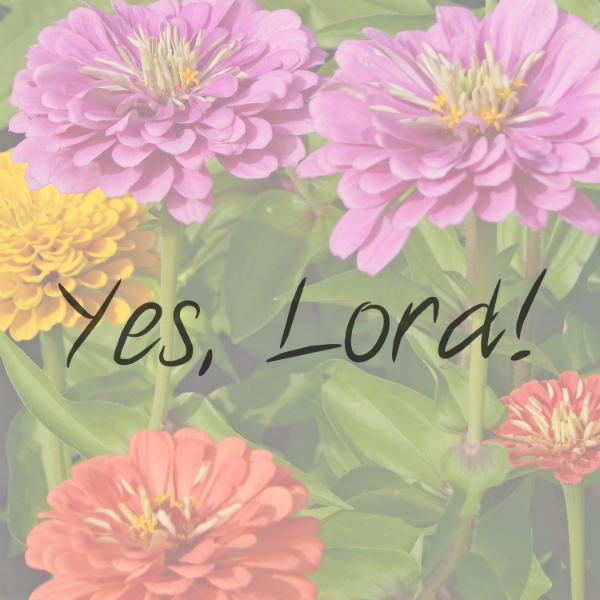 This is such a great inspirational post about saying Yes to God! We all need to do it more often. Oh I just LOVE this post!!!! You're wonderful and I admire your blog!